The images are startling and frightening. Even though the accident happened more than 3,500 miles away, our thoughts immediately went out to the injured victims and the families of those who died in a terrifying train accident in Northwest Spain. Our San Francisco train accident law firm also considered how we’d protect the rights of victims if such a tragedy occurred in Northern California. As with other complex cases, we might work with an accident reconstruction expert to clarify what happened, find out why it happened, and figure out who is to blame. According to a CNN report released the day after the crash, Wednesday’s express train accident in Spain left at least 80 dead and more than 170 injured. Teams expect to find more bodies as they dig through the wreckage. The victims include at least five injured Americans. The accident occurred in the region of Galiicia, located in northwest Spain, and just outside a train station for the city of Santiago de Compostela. Alberto Nunez Feijoo, head of Galicia’s regional government, declared a seven day mourning period for the accident victims. The nation’s Prime Minister Mariano Rajoy also called for a nationwide three-day mourning period. Video shows train cars crashing into a wall, flames bursting out of a train car, and a car being snapped in half. The train was nearing the end of a six-hour run from Madrid to Ferrol. Investigations are ongoing, but early evidence suggests the train was travelling at an excessive rate of speed. The train’s driver, who is under formal investigation but has not been charged, told police that he entered the bend in the track too fast. Spain’s secretary of state for transport and housing, Rafael Catala, also linked the tragedy to speed in a radio discussion. Other news outlets cited sources involved in the investigation who said the train was travelling approximately 190 km/hr on a curve limited to 80 km/hr. Authorities noted that a routine inspection had been performed on the train that morning. Julio Gomez-Pomar, president of the state railway known as Renfe, ruled out operating problems, adding that the train had a perfect maintenance and control record. Despite the early focus on speed, investigators are examining all possible causes of the accident. Terrorism is not believed to be a factor. When we handle accident cases, including serving as a law firm for train accidents in Northern California, we often work with one of more accident reconstruction experts. These experts are typically engineers and they apply science to physical evidence. They work backwards, trying to figure out what caused the accident from what is left behind (ex. skid marks, damaged vehicles, types of injuries incurred). In some cases, these experts are primarily consultants who help our team understand the facts of the case. In other cases, the experts prepare in-depth reports and are slated to appear as witnesses should the case go to trial. Testifying accident reconstruction experts must meet many requirements, including expert witness qualification rules detailed in Rule 720 of the California Rules of Evidence (requiring special knowledge, skill, etc.) and Rule 801 on the content of the testimony (requiring the issue involve knowledge outside the common experience and within the expert’s special purview). Experts may also help the legal team create exhibits illustrating their conclusions. Such re-creations also need to meet requirements laid forth in a mix of rules and caselaw. 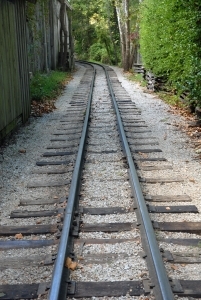 Expert testimony can be critical in cases like those that might follow a major train accident. Accident reconstruction experts can provide a basis for finding fault and liability and help a judge or jury understand complex scientific and engineering principles. However, experts are only helpful when an attorney knows how to use them and understands the complex web of rules governing their testimony. Attorney Brod has experience working with expert witnesses in San Francisco and throughout Northern California, including qualifying them in both state and federal courts. If you have been injured or lost a loved one, call to schedule a free consultation to discuss your legal rights, including the role accident reconstruction experts may play in your case.